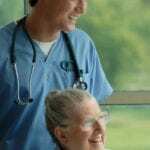 CNAs responsibilities are in no way simple or easy. They conduct a vast majority of tasks that keep hospitals, nursing homes and assisted living facilities working. As primary caregivers to aging, recovering and terminal patients, CNAs need adequate training to do their jobs well. On a typical shift, they assist patients with dressing, bathing, feeding and personal care. They also help patients get out of bed and transport them to surgical rooms and prep them for observation. In some settings, they also ensure patients get daily exercise and play an active role in group activities. This level of care and hands-on interaction calls for prior training to maintain the quality of care for patients. The Tennessee Department of Health oversees the training, testing and certification of state nurse assistants and keeps an up-to-date record of CNAs on the Nurse Aide Registry. Tennessee’s nurse aides cannot work at certified facilities for more than 120 days (4 months) without state certification. In order to obtain certification, you must complete a state-accredited training program and pass the state competency exam within 24 months of graduating from the program. Employers at state-certified facilities must check the nurse aide registry to verify a prospective employee’s status before hire. Facilities are also obligated to report charges of abuse, neglect and misappropriation of residents’ property brought against employees. Student nurses (enrolled in an LPN or RN programs) may submit a request to the DOH for exemption from training and take the competency exam directly. The DOH will require original transcripts to verify that the student has completed the basic nursing skills before granting approval. Military-trained medics can also apply to challenge the competency exam and skip training with a copy of the DD-214. Out-of-state CNAs can apply for inclusion on the registry through reciprocity. Tennessee practices reciprocity with all states except North Carolina, Florida, and Georgia. CNAs from those states must apply to challenge the test (Georgia CNAs) or retrain and retest (Florida and North Carolina CNAs) in Tennessee to qualify for employment at licensed facilities. The federal and state governments do not impose educational barriers to anyone desirous of pursuing a career as a nurse assistant. For this reason, high school students and non-high school graduates can enroll in many formal training programs with no evidence of prior education. Some training providers reserve the right to request a copy of your high school transcript or administer a pre-enrollment assessment to determine your suitability for training. Informative orientation sessions will provide details on the schools’ requirements for enrollment as well as expectations for completing the course. Tennessee’s Department of Health requires nursing assistants to complete the state-accredited training comprising of at least 75 hours. Training programs include classroom, lab and clinical experience at an off-site facility. In the classroom, licensed nurse instructors cover topics such as personal care, nursing principles, communication skills, infection control, vital signs, safety and emergency, anatomy, feeding, and nutrition. Students also learn the need for respecting patients’ rights and independence and how to assist residents with activities of daily living, such as grooming, bathing, feeding, and mobility. The clinical experience is another crucial aspect of the state nurse assistant training. Each student must cover at least 16 hours (might be more depending on the provider) of the clinical experience in preparation for the skills test component of the state competency exam. During the rotation, students work at a skilled nursing facility to provide personal care to the residents under the supervision of a licensed nurse. The hands-on training reinforces the critical steps students must execute while providing direct care services. Training programs last 2 to 6 weeks depending on the course contact hours and schedule. Graduates are eligible to take the state certification exam for inclusion on the nurse aide registry. Nursing assistant courses at Tennessee’s community colleges, allied health schools, vocational schools and private institutions cost an average of $800 for tuition only. Other associated costs include textbook, course materials, scrubs, clinical shoes, watch with a second hand, gait belt, background check, liability insurance, immunization and state certification. Due to the nature of nurse assistant programs, traditional sources of financial aid are rarely available. There may be grants available, for low-income students, or scholarship opportunities. Many schools assist students by providing interest-free, flexible payment plans. If you’re employed at a licensed nursing facility, your employer should pick up the tab for training and testing. If you’re unemployed, but obtain a job at a state-certified facility within 12 months of training, you will qualify for reimbursement of your expenses after you submit your receipts. For free training, you should check with state-approved local nursing homes and hospitals to find out more about upcoming training programs and requirements for enrollment. Tennessee’s Nurse Aide Competency exam is administered by D&S Diversified Technologies. The evaluation program ensures all candidates can safely and effectively perform their duties as entry-level nurse aides. There are two parts to the competency test – a multiple-choice written (or oral) exam and a skill test. You must pass both exams for inclusion on the state’s Nurse Aide Registry. If your training provider does not provide on-site testing, you can submit your application directly to Headmaster through the online application. The 90-minute written test contains 75 multiple-choice questions. The test is available in both English and Spanish – select the language of choice on the application form. On the Spanish test, 10 of the questions will be written in English to fulfill reading comprehension requirements. There’s an oral test, which you can take in conjunction with the written test if you have difficulty reading English. You must request the oral test at the time of application. The test comprises of 60 multiple-choice questions in audio and 10 reading comprehension questions. You must score at least 75% on the written/oral test to pass the exam. The skills test evaluates your nurse assistant skills through a subset of assigned skills. The 35-minute exam comprises of 5 skills; hand washing and 4 others assigned at random. If you fail a single task, you’ll have to retake the skills test. You must perform the critical steps on each skill and score at least 80% on each task to pass the exam. A list of skills along with the critical steps is available in the candidate handbook. Full clinical attire is a must for the written and skills test – scrubs, clinical shoes, and hair tied back. Submit proof of completing at least one 8-hour shift of providing nurse assistant services at a licensed facility. Pay stubs, payroll printout or a notarized attestation form are all acceptable documents. Documents must contain your name, social security number and place of employment. Service provided at physicians’ offices, and other private duty services are not eligible for renewal. It’s crucial that you maintain accurate records at the registry. Notify the administrators of your name or address change. 8:00 a.m. – 4:30 p.m. C.S.T.